Join the PMA Southern New England District for an informative presentation on the future of robotics. Christian Gervin and Ryan Weaver, from Axis New England, Inc., will join the district to give a presentation on the capabilities of Universal Robots products’ with hands-on demonstrations and discuss the applications in our industry. 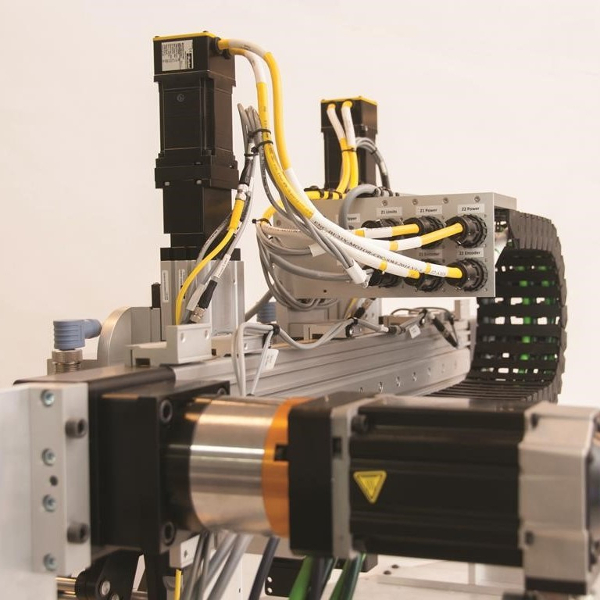 With their combined 21 plus years of experience at Axis, they will provide thorough knowledge and examples of how robotics can be implemented in your plant. Axis began working with collaborative-robot technology in 2012, back when the term was widely unknown or understood. Since then, it has helped numerous companies in New England find new ways to apply automation using this type of flexible solution. A collaborative robot is defined as a robot that shares a workspace safely with a human operator, allowing for significantly reduced footprint, while enabling re-deployment on new tasks since there isn’t caged work cell to move around. By having a robot that is both safe and easy, new applications can be tackled quickly without a massive investment of programming time and work-cell development. Axis partners with Universal Robots, the market leader in collaborative robots with more than 21,000 robots deployed worldwide, representing more than 65 percent of the cobot (collaborative-robot) market. UR started back in 2009 in Denmark with the debut of the first cobot and was acquired in 2015 by Boston-based Teradyne. Plug-and-play connection to third party hardware such as grippers, sensors, vision systems, etc. Feel free to bring parts to test with you if you have an application that you think could benefit from collaborative robots. Christian Gervin, Sr. Automation Engineer, Axis New England, Inc.
Ryan Weaver, Robotics Manager, Axis New England, Inc.
About Axis New England, Inc.
Axis New England is an Automation Technology Center located in Danvers, MA, with regional locations in Connecticut, New Hampshire and Rochester, NY. Its focus is in connecting both end-users and OEMs with the right automation solution for their application. Axis has partnered with some of the most reputable names in the industry, offering motion control, motors and drives, mechanics, robotics, machine vision and sensing, as well as industrial networking. Registration deadline is Friday, April 20, 2018. For more information, please contact Genene Patrissi.To register over the phone, please contact Cindy Minn at 216-901-8800. A 72-hour cancellation notice must be received for credit considerations towards a future meeting.